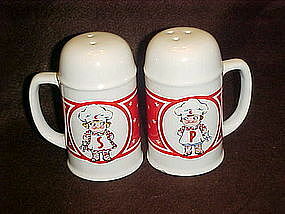 A great set of salt and pepper shakers featuring the campbells kids. They measure 5" tall and have their original stoppers. Excellent condition. Nice stove top size, large holes and roomy handles.